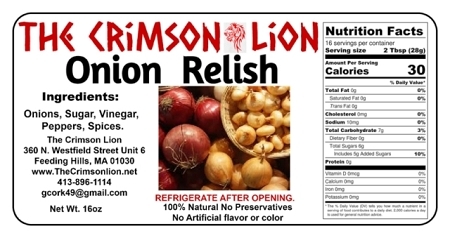 l Onion Relish -16 oz. Home > Shopping Store > Jams & Condiments Shopping Cart > Onion Relish -16 oz. This is a long-standing gourmet condiment that we have offered for several years now. Great for that extra zing on a hot dog or burger.